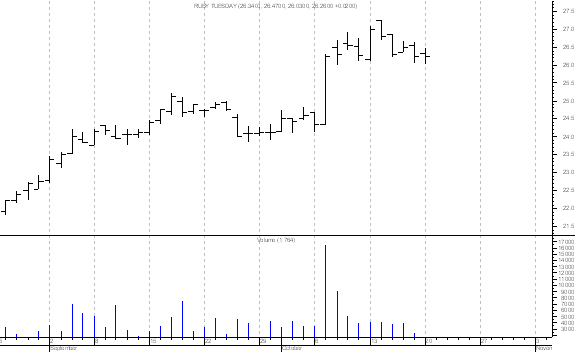 One of the best ways to begin planetary stock trading is to employ the earnings surprise method. 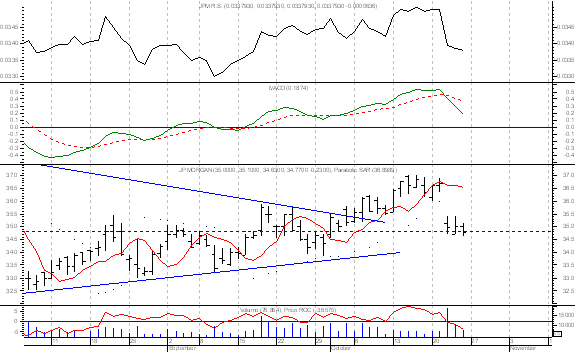 This involves an analysis of the horoscope of the stock on the day that the earnings are announced. If there is little contact with the horoscope at the time, the earnings will be in line with forecasts. Research shows that an EPS announcement that is more than one standard deviation away from the consensus estimate will cause the stock to react sharply, up or down. 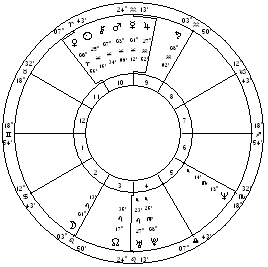 In these cases, there is contact to the natal first-trade chart. In the cases below, you will clearly see how this works. The advantage to this method is that I am only exposed to the market for about 2 days, the day prior to the announcement and the day after. Think of it this way. We are in a foxhole and wish to move to another foxhole. It is wise to minimize the amount of time that we are exposed to fire. In the same way, we do not want to hold stocks for very long if it is unnecessary. In the analysis, concentrate on the MC, Sun and Moon, first natally and then by secondary progression both direct and converse. 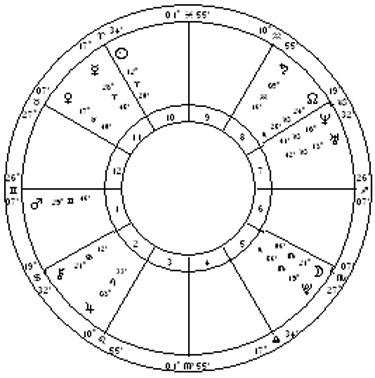 This had been preceded by a solar eclipse at 9 Gemini 19 (May 30) and Mars stations at 10 Pisces 05 retrograde (July 29) and 0 Pisces 10 direct (September 27) and a retrograde Uranus station at 2 Pisces 49 on June 7. Many of the stocks that moved sharply had planets in the first 10 degrees of mutable signs. RT was scheduled to announce earnings on October 6th, after the close of the market. Jupiter was parallel the MC (October 9,2003) and contraparallel natal Jupiter (October 10). The stock jumped almost 5 points. The November lunar eclipse was on Saturn opposite Mars, square Uranus on one side, and Sun-Moon on the other. In this case, a very unstable axis was energized at the time of the announcement. Note the gap down in the month of December. 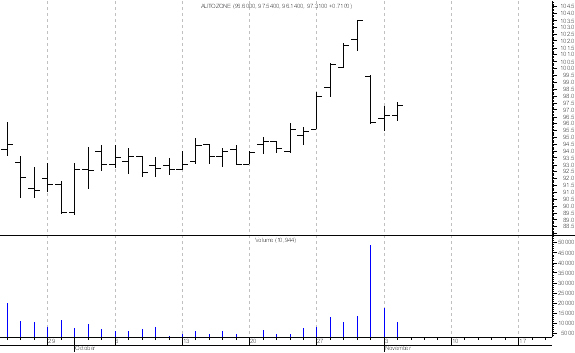 This chart reminds me of a carton that is well-known on Wall Street. The investor calls his broker after hearing the president of the company in which he owns stock. He tells the broker to sell. The broker asks why. The investor says that the chief executive said that business could not be better. The broker is puzzled. The investor correctly observes: “Why should the stock go any higher, if things cannot get any better?” He knew that the share price looks forward and that better news was necessary to keep the stock up. In the case of CAT, Jupiter hit the following axis in the natal chart: the Sun, Jupiter, Mars and Mercury were all in the 10 to 13 degree mutable area forming a big opposition. Jupiter at 9 Virgo turned this opposition into a big t-square. This could be read as a peak in optimism. 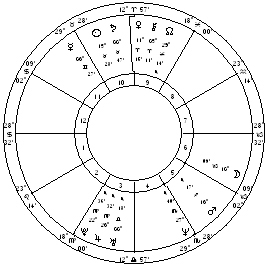 It is similar to the effect that Jupiter has when it moves over the natal Sun in a chart. There is usually a peak on that day, followed by a sell-off. Uranus stationed on the progressed MC. 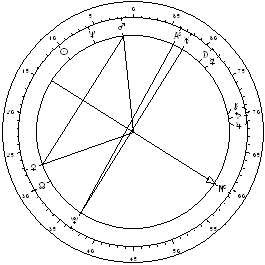 The progressed MC was on the progressed Uranus/Pluto midpoint (see the third 90 ° chart below), adding to the sudden shock. 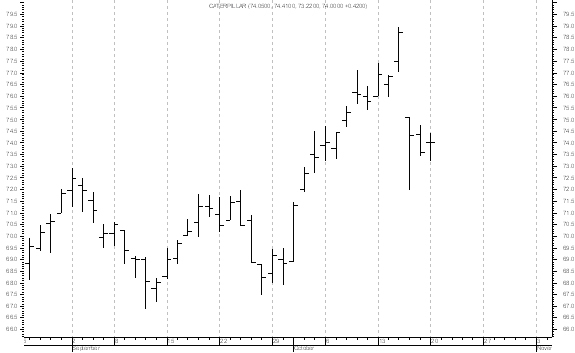 The stock gapped down. 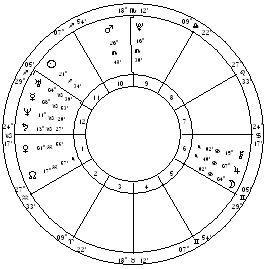 Uranus was opposite natal Uranus, but the real story here was the Saturn station opposite the MC and the Moon. What kind of an announcement would you expect with Saturn opposing the MC (reputation) and the Moon (the public in a mundane chart)? This was one of my best trades of 2003. 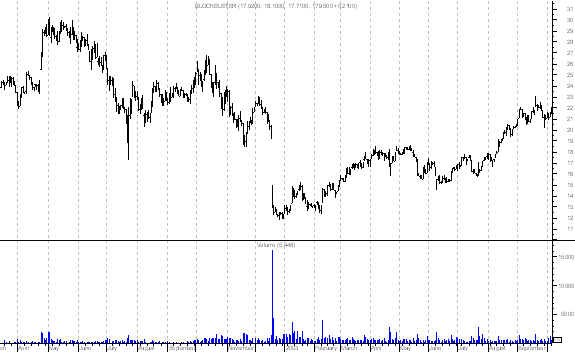 Saturn was 5 minutes off of the progressed Sun when earnings were announced. The Uranus station was 135 degrees from the same progressed Sun. 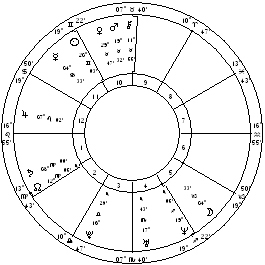 The coming solar eclipse was opposite the progressed MC and 45 degrees to Pluto. 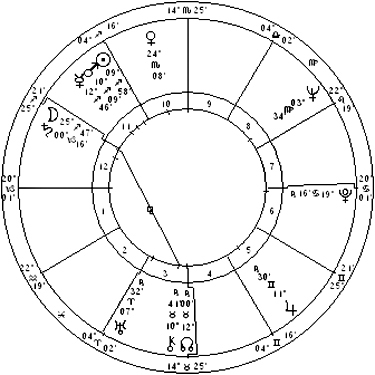 Transiting Pluto was contraparallel the natal Midheaven one week before the announcement. 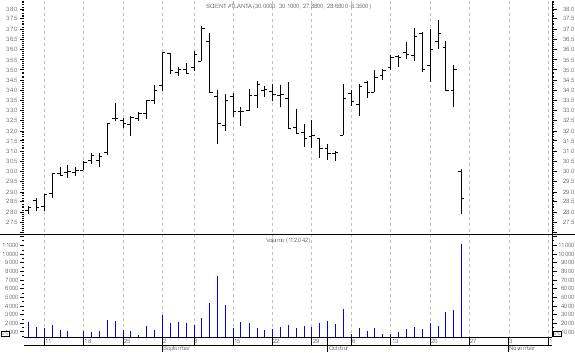 This was a very afflicted chart, and the 18% drop in one day was the third largest on the NYSE on that day. 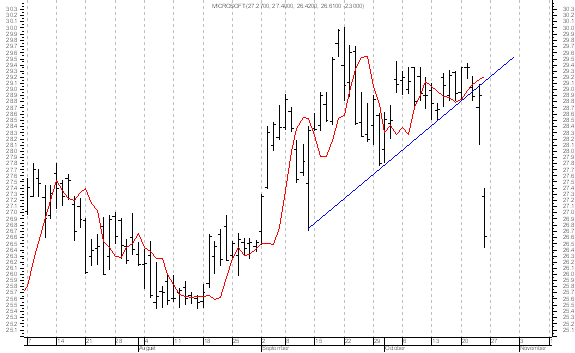 Put options more than doubled. 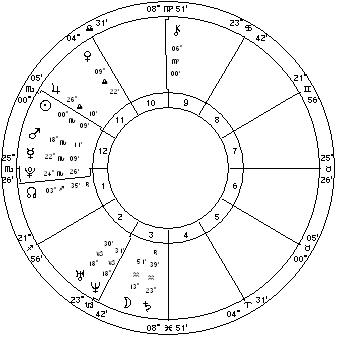 This was a very obvious short candidate involving both the natal and progressed horoscopes. 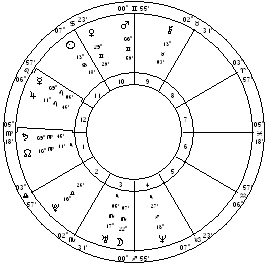 Saturn was square the natal Sun and was in hard aspect to Mars and Neptune. Saturn was square the progressed MC and Venus, and was sitting on the progressed Moon. 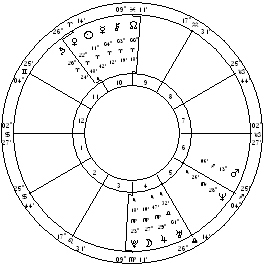 The keys here were the hard aspects of Saturn to both the natal Sun and the progressed MC. The MC drew my attention to this stock. 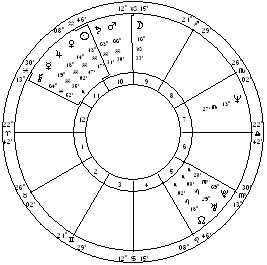 Note that the September direct Mars station was on the Midheaven and that the November solar eclipse squared that point. Thus, any announcements would have a greater effect than usual. 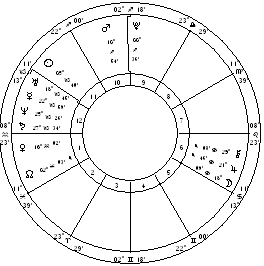 Next, see the unstable axis of Neptune and Uranus in Capricorn square the Sun at 12 Aries. 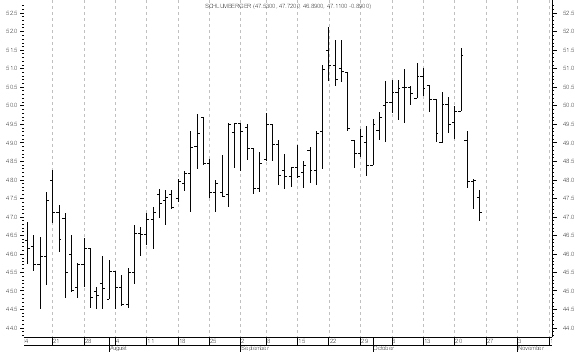 Saturn’s station in Cancer activated this axis, sending AZO lower. This stock broke under October’s pressure. The Saturn station opposed natal Saturn and was 135 degrees from Mars. The direct Uranus station was in a close 45 degrees from natal Saturn and was square Mars. 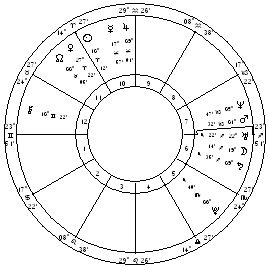 The lunar eclipse would be opposite the MC-Pluto conjunction square the Node. 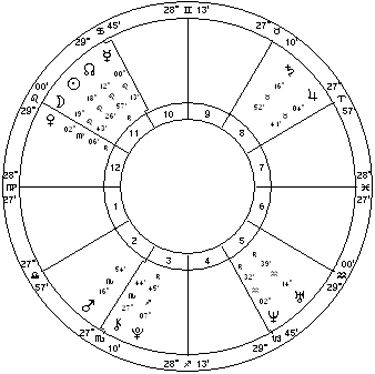 Neptune was semisextile the progressed Ascendant. The subsequent solar eclipse was on the progressed MC. 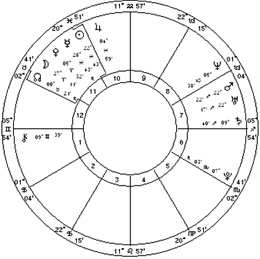 With the Sun at 21 Sagittarius 54, this chart still had to endure a Pluto transit, a hint that selling would be serious and long-lasting.